As a Senior Instructor and certified Master Teacher, Sensei Grant Campbell’s dedication to the martial arts is an inspiration to all. He began his study of the martial arts with encouragement from his father, who had served in the military in Japan and studied the basics of karate in Okinawa. 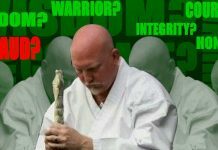 An international competitor on various USA teams for over 20 years, he’s one of the few American’s to actually live and learn martial arts in Japan for an extended period. Having achieved the distinction of World Karate Champion, Grant Campbell is also one of the leading exponents of a small family karate system originating from China (via Okinawa), renown for its powerful techniques and practical methods. 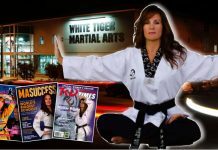 Campbell’s martial arts organization is a private non-political group, that attempts to maintain the correct focus and practice methods of real karate. Associated members of schools are in Canada, United Kingdom, Jamaica, Mexico, South Africa, Venezuela, and Japan. 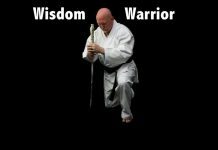 Sensei Grant Campbell has studied under the guidance of some of the finest martial arts masters in the world and has achieved distinctions that few Americans have ever received. He is the youngest American to ever be awarded the prestigious master grade of 7th Dan from the Okinawa Karate Association in Japan. He also holds instructor level rankings in several other martial arts as well. Sensei Grant Campbell serves as an advisor to several martial arts organizations, the most renown of which is the International Okinawa Karatedo Federation. Winner of hundreds of competitive awards including state, national, international and world championship titles, Sensei Grant Campbell Campbell’s exceptional abilities have brought him international acclaim as well as the respect of fellow competitors and instructors worldwide. He devotes his time currently to studying and teaching the martial arts in addition to continuing his post graduate studies. Rejecting the now fashionable “dabbling in martial arts”, Campbell prefers to consider himself a lifelong student of the martial arts and studies intensely on a daily basis as a full time martial artist. In 2015, the senior representatives and practitioners of the art of Shotokan Karate around the world selected Shihan Campbell to the senior Masters Council of that art. That organization exists to preserve and protect the teachings of Japanese Karate around the globe.